Hello! Here’s a quick share of another pair of Mia Jeans by SEW OVER IT that I made a couple of weeks ago. As you can see, the weather wasn’t too great when taking these pictures. 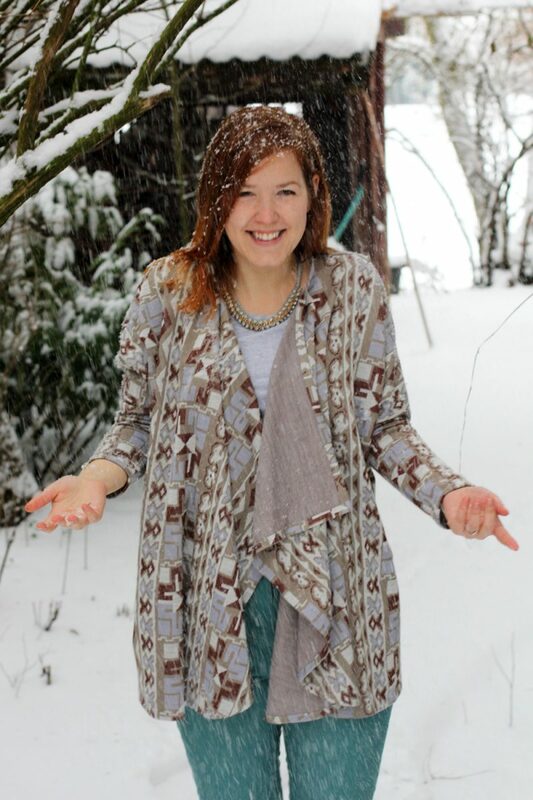 If you need more details on this pattern, check out my first Mia Jeans post. I’ve worn them pretty frequently and they’re holding up great. So far, they haven’t stretched out at all and the waistband kept its shape nicely. 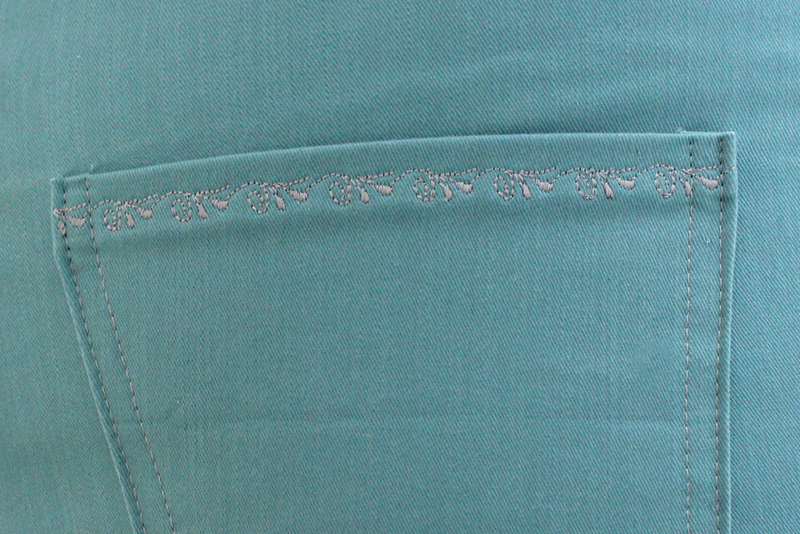 The fabric of the first pair of Mias I made was softer and stretchier, and the waistband creases quite a bit. Again, as last time, I used the back pockets construction to try out some more embroidery stitches on my new sewing machine. I’m not a big fan of contrasting stitching on jeans, and this tiny added detail suits my taste perfectly. This time I interfaced the pocket pieces before adding the embroidery stitches, so the fabric didn’t stretch. I’m really happy with this pattern. The fit is great and it’s a perfect base for future hacks. I like the extra large seam allowance – it really helps with the fitting process. The stretch fabrics make it easy enough, but as the amount of stretch in fabrics differs quite often, it’s necessary to do at least one fitting (or more if necessary), before finishing the outer side seams. And yay! This time I got the front fly right from the beginning! I’ve got three more fabrics waiting to become some sort of Mia hack, so keep your eyes peeled! They look lovely and the subtle detail on the pockets is gorgeous!